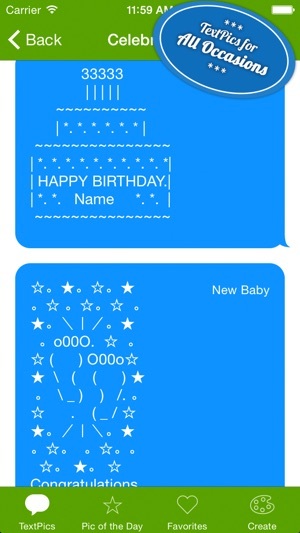 o_(")(") ASCII art made just for iPhone texting! * Over 1,000 customizable text pics! * New Free TextPics added Every Single Day! 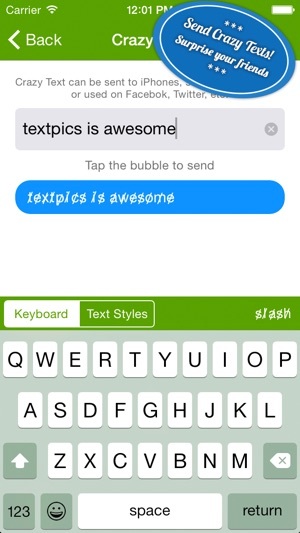 * Create your own TextPics and save them to your Favorites and optionally contribute, and maybe see your creation show up in a future version of TextPics! * Supports iMessaging for iPhone, iPod, and iPad! * Copy any TextPic to the Clipboard to use in other apps! Note that most TextPics are only for texting to other iOS devices. iOS uses a single font, and all of our TextPics have been painstakingly built specifically for iOS. Texting other phones or friends outside of your network may have unpredictable results. Emotes however can be used in a wider variety. Each category describes the possible uses, in-app. Fixed an authorization problem that prevented people who previously purchased TextPics from unlocking the full version. Typical low effort app, has potential if reimagined. Too often the app crashes or glitches in such a fashion to require a restart. Charging for packs with more ascii art may be the most superficial purchase I can think of. There's an argument to be had about paying the creators of the app, to which I say, does an inadequate library of text art really warrant a purchase? This app does have value don't misunderstand me, but anything over 99¢ is hard to justify. I'd rather a complete library and ads then a paywall for such basic content. I also like to imagine this app would be much better as a keyboard. More often than not you're using this in tandem with [insert preferred messenger app] so avoid the constant swapping and make it a keyboard. That seems obvious, unless I'm missing something. There is redemption however. 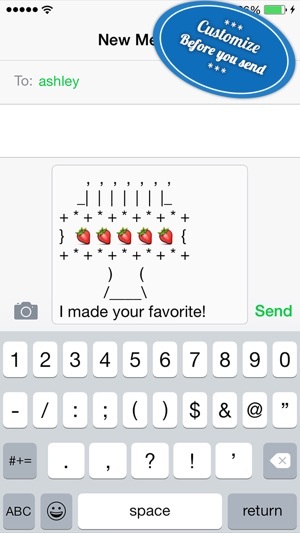 The Create feature is great for copying ascii art online and pasting it into the app to be used at your leisure. All those copy pastas are stored in your favorites. 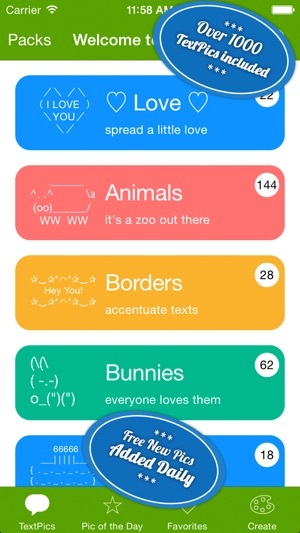 This app shouldn't be seen as a catalogue of usable text art all in one place. 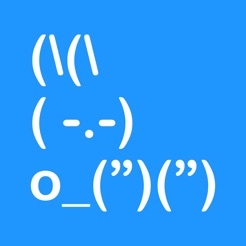 It should be seen and used as a convenient folder for text art and text emojis, although likely you'll need to enter them yourself. If it was; free, had many more pictures, was a keyboard instead of an app, or you could create your own categories to store your pics.. I'd give this a 4/5. It's none of those, however you can still crudely get what you want out of it so I give it 2/5. Text Pics helps make me a fun grandma. All my grandkids are out of state, and Text Pics makes texting with them more entertaining. The text pics are well done. Some of the more complicated ones provide amusement as the kids try to figure out what they are pics of. The text style options are amazing. I can send my text upside down or backwards, among other choices. Whether you have grandchildren or just fun loving friends, Text Pics provides a truly creative texting experience. I use Text Pics several times a week, and I enjoy using it to add some fun to my texts. Would like more frequent updates, especially with pics that are not terribly large. I would also like a bigger choice of pics to go with common, everyday conversations, , like "good morning", "I love you", "thank you", "you rock", etc... I like the ones you have here, but I would like some fresh designs so I'm not always using the same ones over and over.